Hi there! 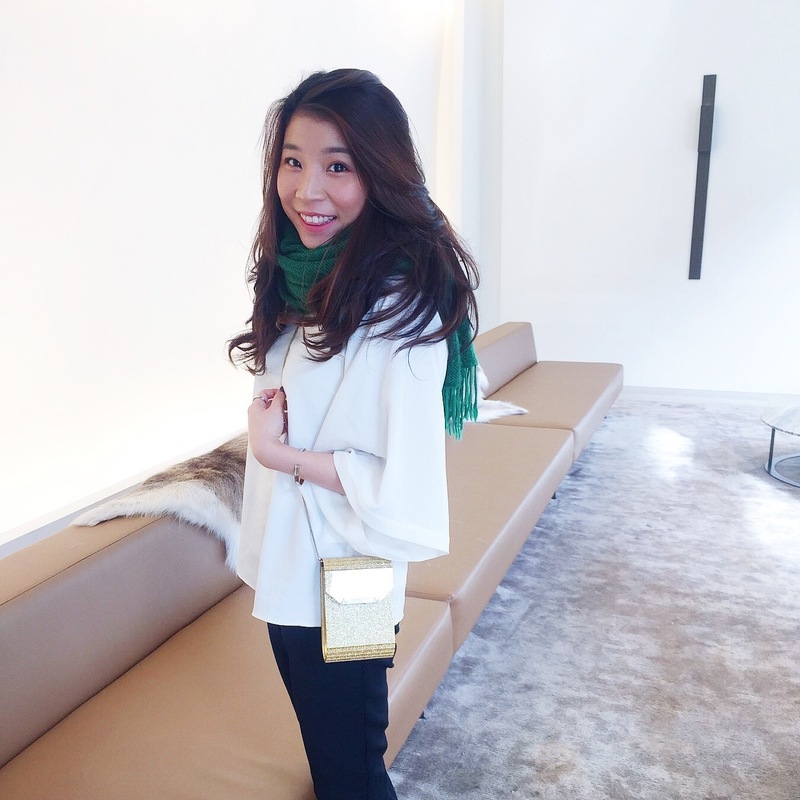 Back in December, I was lucky enough to be invited to the L'Oreal head office to preview some Loreal and Maybelline's upcoming launches for the first half of 2016. They have us all covered from the face to the eyes and to the lips. 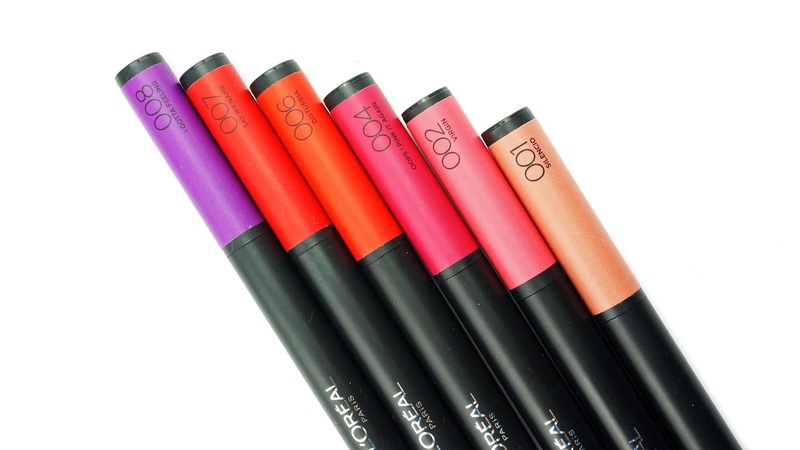 Let's first have a peek at Loreal's new product launches today and I will do a separate blog post on Maybelline. 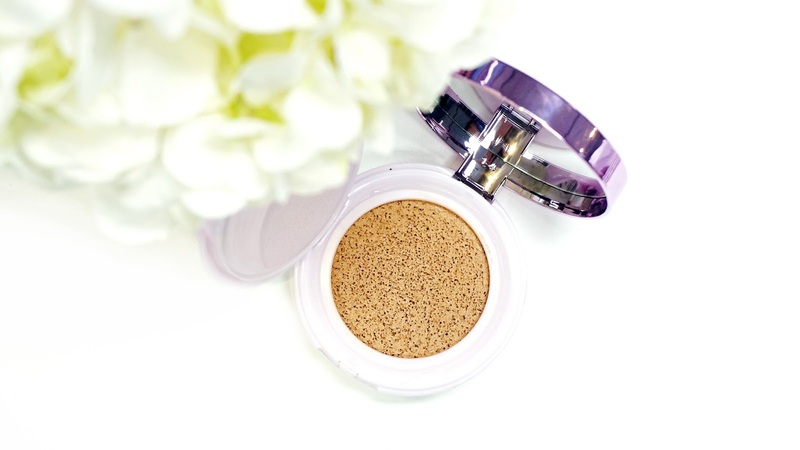 Catching up to the Korean beauty trends, L'Oreal is bringing us their own cushion foundation. 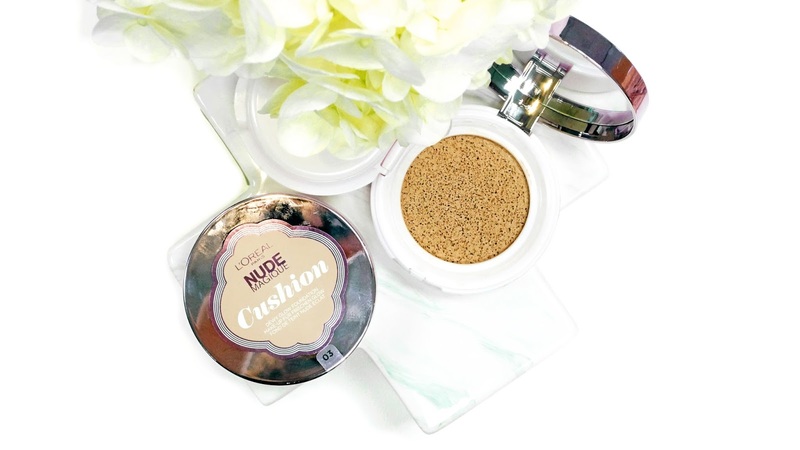 If you are not familiar with the Korean beauty market, a cushion foundation is basically a compact that houses a sponge soaked in liquid foundation/bb cream. 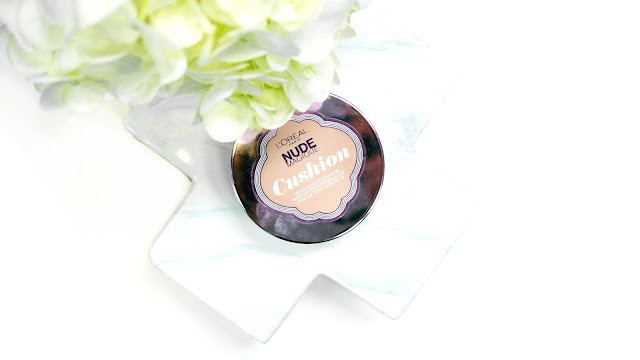 Based on my previous experience, cushion foundation usually gives a natural, fresh face and lightweight finish with SPF. It is convenient for touch ups and takes so little time to apply. I'm thrilled to try this out because I am all about that dewy life. 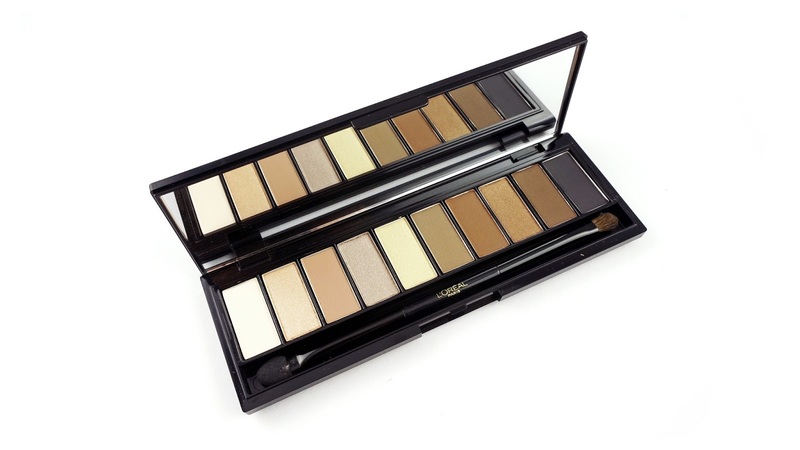 Retails for $29.95 AUD and available in 6 different shades. Who doesn't want their natural lashes to have a false lash effect? 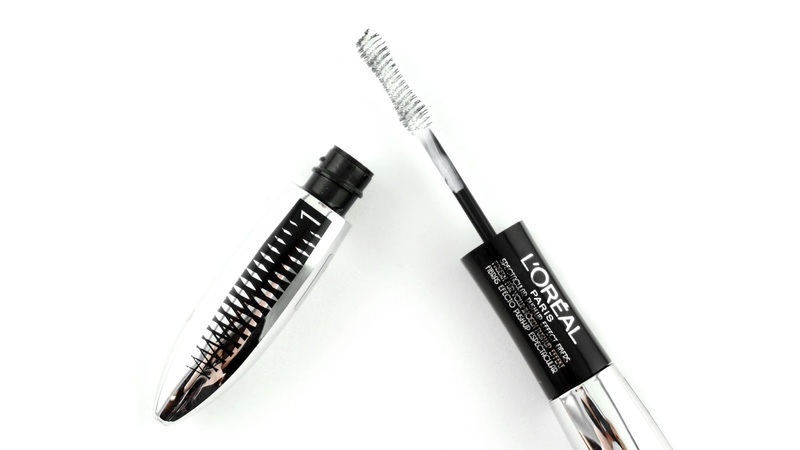 This new dual-ended mascara features a two-step process to give your lashes extra length and volume. 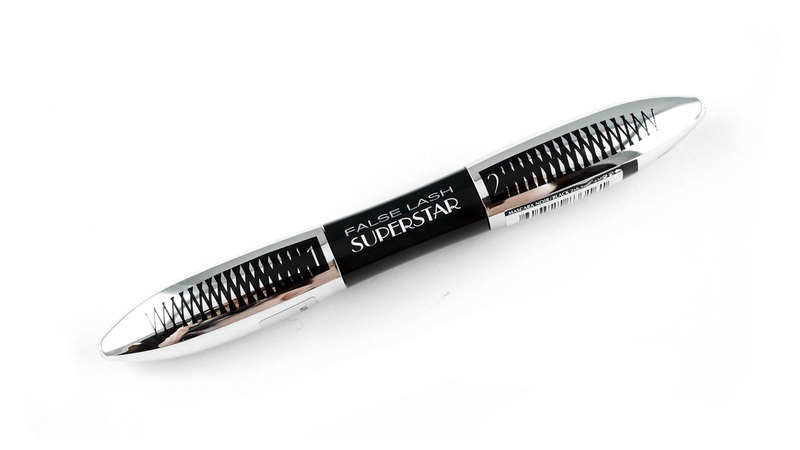 This mascara formula contains black pigments and ultra fine fibres. The step 1 brush holds a slight hourglass shape that hugs your lashes and helps to reach the roots. 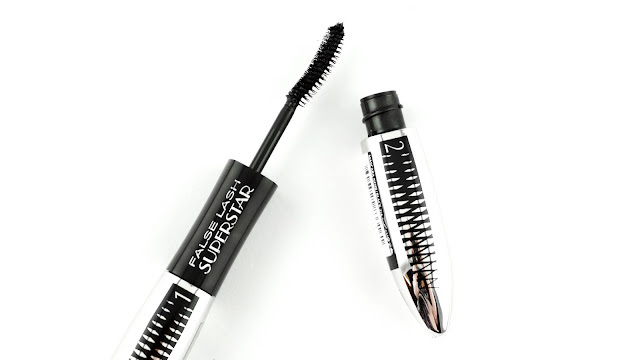 The curved wand on step 2 side is ideal for us with straight lashes, it gently curls your lashes upwards. I'm always on the hunt for the next best eyeliner. 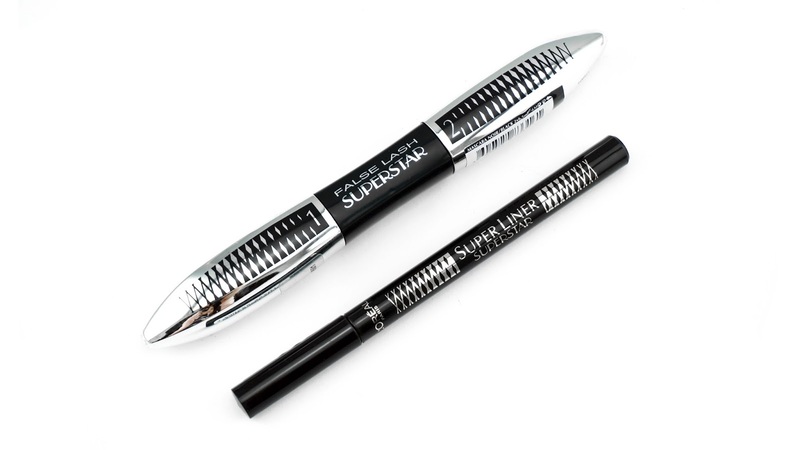 I like my liner to be super black and this definitely delivers it. 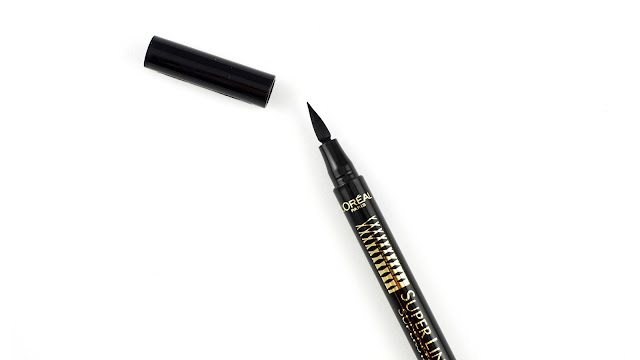 This new eyeliner has a felt tip that gives you enough control to draw a smooth line. 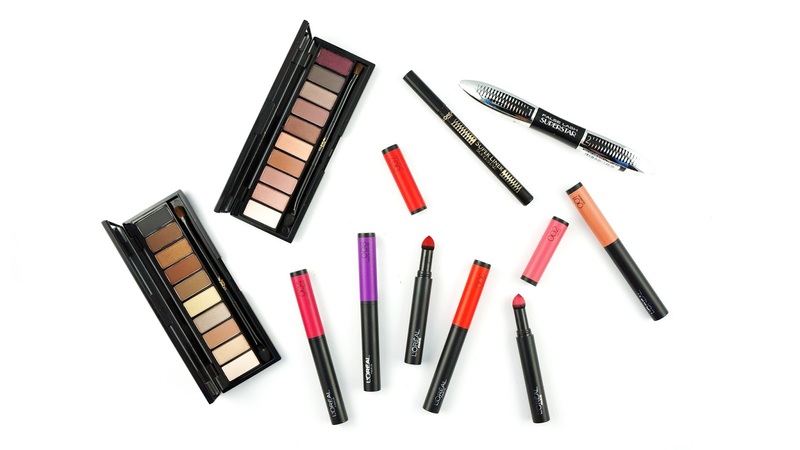 The glide of the flexible felt tip gives you freedom to achieve any eyeliner look, whether it's thin or bold. 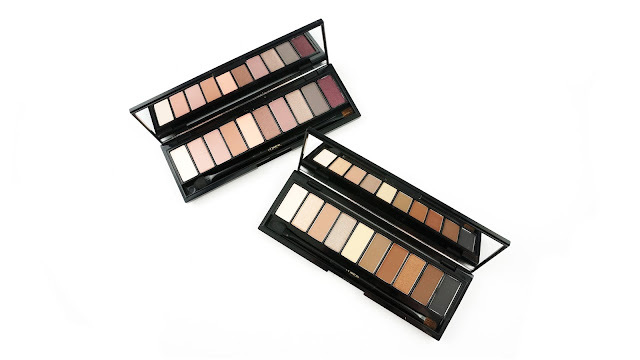 The new eyeshadow palettes are probably what I'm most excited about in this launch (yes! 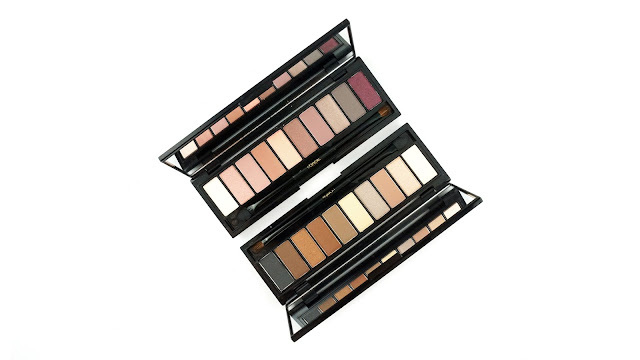 I'm a palette-addict). They are releasing two palettes, Beige and Rose, and each contains 10 shades in a range of finishes from matte to shimmer. 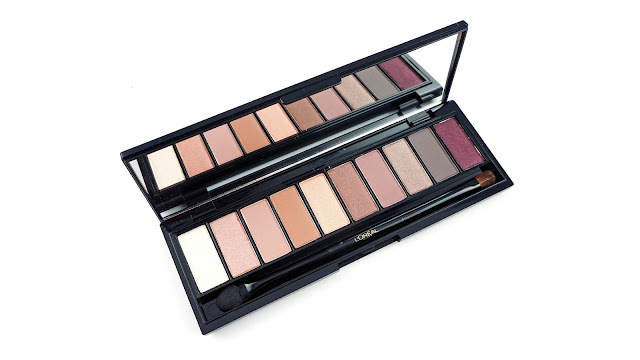 "beige toned shades from shimmery champagne to brazen browns"
"rose toned shades from pale blush to sparkly pinks and daring mauve"
The palette comes with a good sized mirror and a dual-ended applicator with a brush tip and a sponge tip. In terms of packaging, it is great for travelling, it is sleek and compact in a glossy black finish. 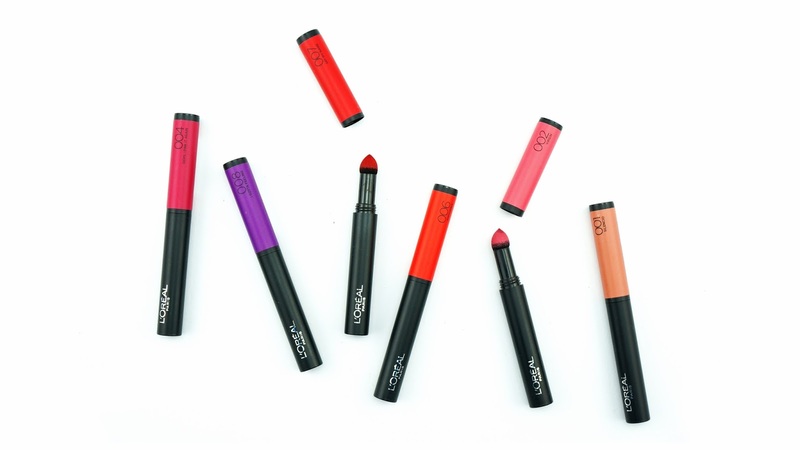 Want matte and long-lasting lippies? 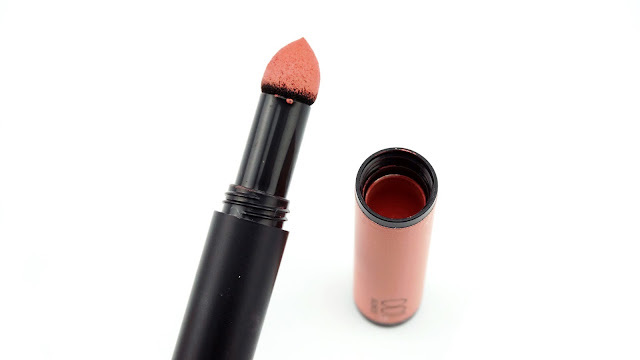 I think this is the first time I've come across powder lipsticks and it sure is innovative. With new powder pigment technology, this claims to be transfer proof and last up to 10 hours. This product comes with a sponge applicator for easy application and the actual powder pigments are stored within the lid. Simply reload the pigments on the sponge by pumping it back into the lid. 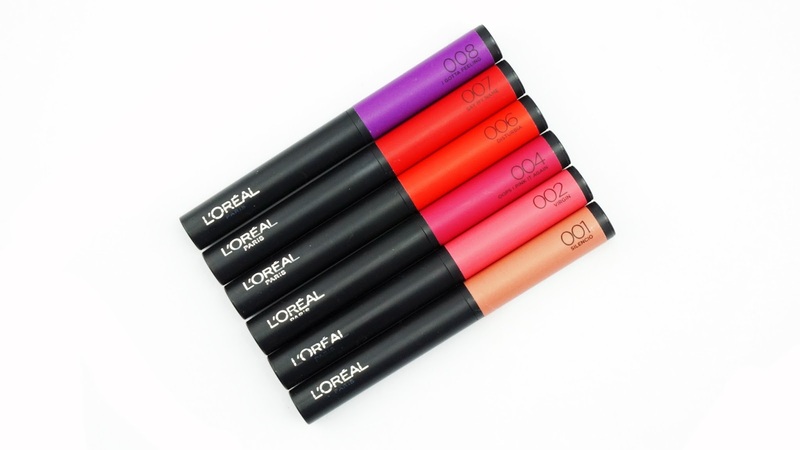 Available in six fun shades ranging from your everyday nudes to some bold reds and purples. You can achieve different lip looks, gradient or bold, ombre or s'ombre using the sponge applicator. My favourite shade from the lot is 002 Virgin. What do you think of the new releases? I know some of these releases are already available in some stores. If they aren't in your local store yet, I believe they will be real soon. Let me know if you want to see any of them swatched!